Check out our most-asked questions and expert answers about save-the-dates. You’ll need to give your guests plenty of notice so you can ensure that as many of your nearest and dearest as possible can come to your wedding. One of the best ways to spread the word is by sending a save-the-date. Do I have to send out save-the-date cards at all? It’s not mandatory, but most couples send out some notification of their wedding date before the invitation is put in the mail. Whether it’s an actual card, an online announcement, or a link to your wedding website, there are several options. When should we send out save-the-dates? Our advice: send out your save-the-dates as soon as possible! 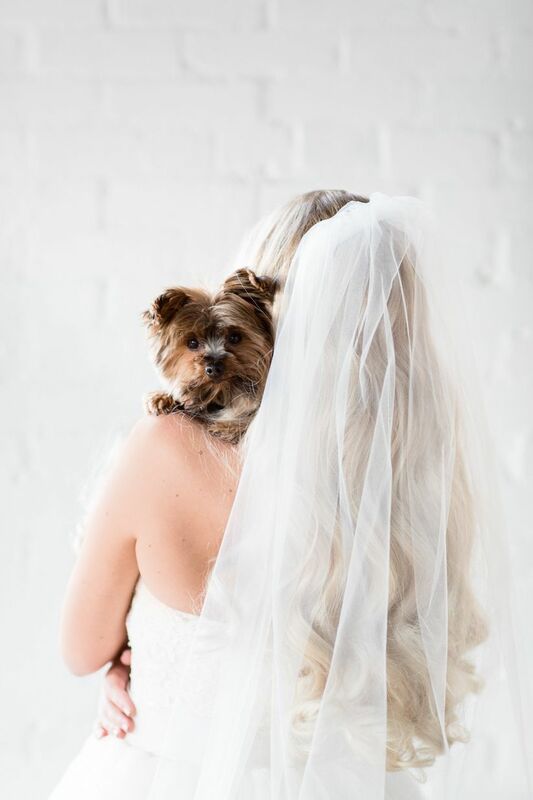 Usually around six to eight months is fine, but if you’re having a destination wedding, your guests will appreciate as much advance notice as possible, so even sending them a year out is fine! What information should be included on a save-the-date? 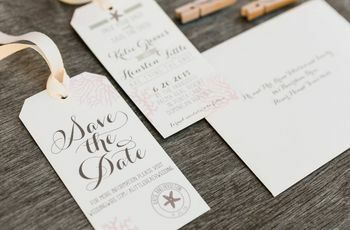 Your save-the-dates need to include only four things: Your names (of course), the date of your wedding (duh), the location of your wedding (city and state is fine, you don’t have to put the venue), and your wedding website address. What should my save-the-date look like? Does it have to match my wedding invitation? 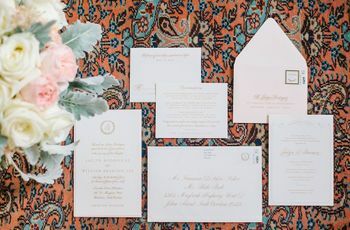 Your save-the-date does not have to match your wedding invitation – there’s a good chance you don’t know what your wedding invitation looks like yet, anyway! 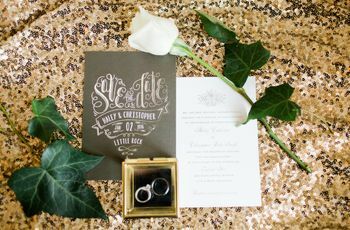 Just make sure that your save-the-date generally works with your wedding style and theme. Get inspired with some of our favorite save-the-dates here. Do I have to send a save-the-date to everyone? 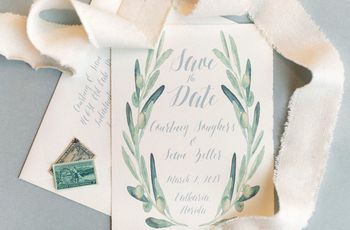 You should save the date to anyone who is going to be invited to your wedding – and you should have a firm guest list set up before you send out your save-the-dates. 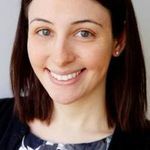 Some couples choose to create A, B, and C guest lists, and only send save-the-dates to the “A” list – but guests on the other lists may find out, putting you in a bit of a tricky situation. Any money-saving tips for save-the-dates? Postcards are a more budget-friendly option because the postage costs less. An online save-the-date is another way to save some cash on your save-the-dates.